January-Altar Society donated the Millennium Cross which is on the outside wall of the church entrance. May 6-Fatima Apostolate Liturgy -Neighboring parishes join our parish as the month of May being dedicated to the Blessed Virgin. August 6-An outdoor liturgy at our shrine was held, it was followed by the blessing of the construction site and groundbreaking ceremony for our new parish school. 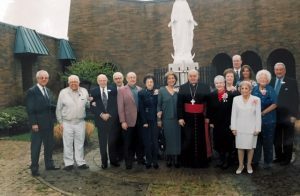 October- Jubilee 2000 Parish Mission conducted by the Fathers of Mercy. An Apostolic Blessing for the Plenary Indulgence was also given. November 5- Special Inter-Faith Prayer Service for peace in the Middle East was held. Members of the Catholic, Orthodox, and Islamic communities joined together to pray for an end to the violence and for a lasting peace in the Middle East. January-Dedication of our new parish school. February-The Patriarchal Visitation of Nasrallah Peter Cardinal Sfeir to Michigan took place on Wednesday, February 21 at Saint Sharbel in Warren. May-Fatima Apostolate Liturgy was held on May 5. Neighboring parishes joined our parish as the month of May being dedicated to the Blessed Virgin. October-Eucharistic Adoration began on Friday October 19 from 9am-12noon. February Parish Lenten Mission was conducted this year by Father Frank Fusare of the Fathers of Mercy from South Union, Kentucky. February OLOL now has a burial section at New Calvary Cemetery. April 26-28-Morningstar Society 75th Anniversary Celebration. Bishop Robert Shaheen joined our celebration and made his first pastoral visit to our Parish. Also, the Board of Directors for the National Apostolate of Maronites were here to celebrate with the Morningstar Society. May-Fatima Apostolate Liturgy was held on May 4. Neighboring parishes joined our parish as the month of May being dedicated to the Blessed Virgin. 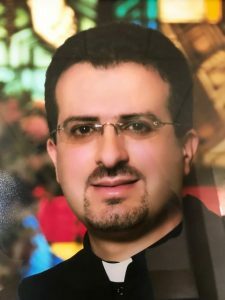 October- Dr. John Abdella was appointed by His Excellency Bishop Robert Shaheen to serve on the Pastoral Advisory Board for the Eparchy of Our Lady of Lebanon in Saint Louis. The purpose of this Board is assist the Bishop with the development and implementation of future goals and aspirations for our Eparchy. November-Mary’s Well was designed and built by Darrell Frye in the Shrine Court Yard. May- Fatima Apostolate Liturgy was held on May 3. Neighboring parishes joined our parish as the month of May being dedicated to the Blessed Virgin. Also, the Shrine of the Sacred Heart of Jesus was constructed behind the choir doors. August 10-Outdoor Shrine Dedicated to the Most Sacred Heart of Jesus was blessed. The statue was donated by Mike and Tyl Rizik in memory of Assad and Rose Rizik. October –New Temple Lighting was installed in the sanctuary. December 3- Monsignor William Bonczewski became our sixth parish priest. He came from Our Lady of Lebanon National Shrine in North Jackson Ohio. January-An announcement was made that our parish son Gregory Mansour was elevated to Bishop. 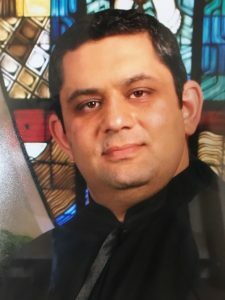 His Ordination will take place in March in Lebanon. March 2- Ordination of Bishop elect Gregory Mansour in Lebanon by our Patriarch Nasrella Peter Sfire. 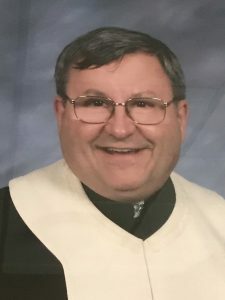 April-Bishop Robert Shaheen has announced that Father Anthony Spinosa (our former priest) will be elevated to the rank of Periodeat with the title of Monsignor. Also, Bishop elect Gregory Mansour was installed as Bishop of the Eparchy of St.Maron in Brooklyn. May 9-Bishop Gregory Mansour visited his parish family with a Mass and celebration. August 14-Elevation of Father Anthony Spinosa to Monsignor at the Shrine of Our Lady of Lebanon in North Jackson, Ohio. September 12-Father Jihad Younes became our seventh priest. He came to us from Maronite Order of the Blessed Virgin Mary in Ann Arbor Michigan. November 10-Abbot Francois Eid visited our parish and celebrated liturgy. A dinner followed celebrating the Abbot’s order of 309 years. May 7-World Apostlate of Fatima. Neighboring parishes join our parish as the month of May being dedicated to the Blessed Virgin. April- Jonathon Hearsch built a website for our parish-www.ololmi.com. April- Pope John Paul II 1920-2005. August- Elie Damouni supplied cement for our new and improved handicap access. July-Parish directory made and distributed. November- The parking lot is completed. November- MYA (Maronite Young Adults) established. 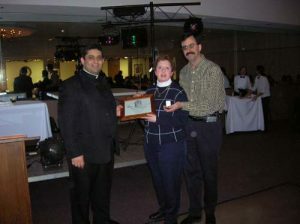 February -Tony Massad received the Faith of the Mountain Award. Scott and Cindy Shaheen received the Silver Massabki Award. July-Bishop Robert Shaheen and Bishop Gregory Mansour invited His Beatitude Nasrallah Peter Sfeir to Detroit. The Patriarch will be here July 10th through the 12th. He will celebrate Ramsho (Maronite Evening Prayer) at St. Rafka Mission the evening of Monday, July 10th. July-Tony Massad left on Wednesday, August 23, 2006 to enter Our Lady of Lebanon Seminary in Washington, D.C. Tony is studying to become a priest. September 11- Chorbishop Faouzi Elia visited our parish. MAY 6-The Most Reverend Bishop Robert J. Shaheen and Chorbishop Fouzi Elia visited the parish on this First Communion and May Crowning Day. October 7-The House of Representatives and Congressman Kildee pay tribute to Bishop Gregory Mansour on his 25th Anniversary to the priesthood. October 7-Our parish celebrated the 25th Anniversary to the priesthood of the Most Reverend Gregory Mansour. Mass was celebrated at 10:30am and following mass there was a brunch in his honor. May–Monsignor Elias El=Hayek-our first pastor-passed away. May 31-First Annual Golf Outing. July -Father Jihad Younes is reassigned to Rome Italy. July-Father Hanna Tayar O.M.M. becomes our eighth priest. July- Our parish purchased a new Organ. 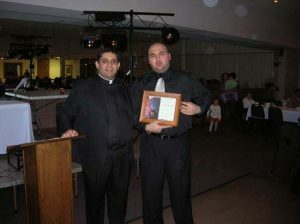 November 13-Tony Massad ordained Sub-Deacon. February 13, 14, 15-Our Church hosted the MYO regional retreat. March 3-Noursat & Telelumiere filmed a documentary about Our Church. April 26-Father Hanna Tayar’s family donated Station of the Cross to our church. May 2- World Apostolate of Fatima Devotion. Neighboring parishes join our parish as the month of May being dedicated to the Blessed Virgin. May 23-2nd Annual Golf Outing. June- Mike and Madeline Zerka donated of a much-needed freezer for the church kitchen. Scott & Cindy Shaheen donated the globes for our outside light fixtures. September 13- Toni Massad was ordained a Deacon here at Our Lady of Lebanon Church. It was an honor to welcome His Excellency our Bishop Robert Shaheen who preside over this ceremony. October- Repairs to the sidewalks outside of the church and the rectory are now completed.